During the Pirate Adventure, the American Star will encounter various enemies along the way! 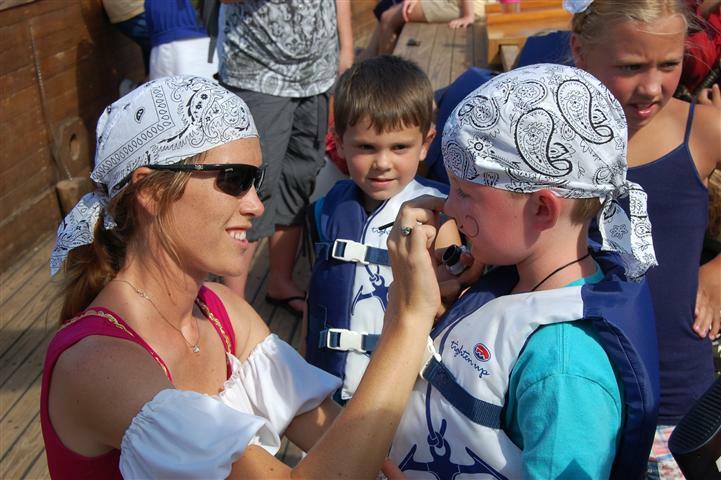 The mates on board will encourage ye and yer little maties to be disguised as pirates so that nobody will know ye be just guests aboard our ship. Paper hats will be passed out and adjusted for size. Also, the mates on board will draw beards and mustaches on all who want to look pirate-like. If ye are hesitant towards having facial hair, feel free to ask the mates for a more daring tattoo or vicious scar! Also available in the Pirate Store are various other items for sale to help yer little mate feel more like a pirate! 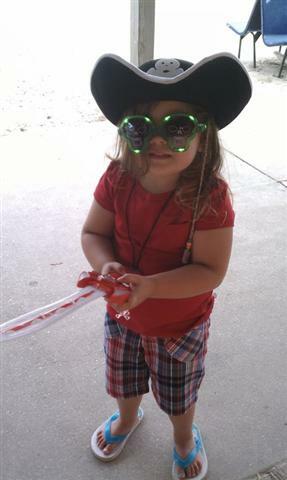 If ye forgot to bring yer own pirate attire to the beach, fear not! For we have several different items available at yer disposal. 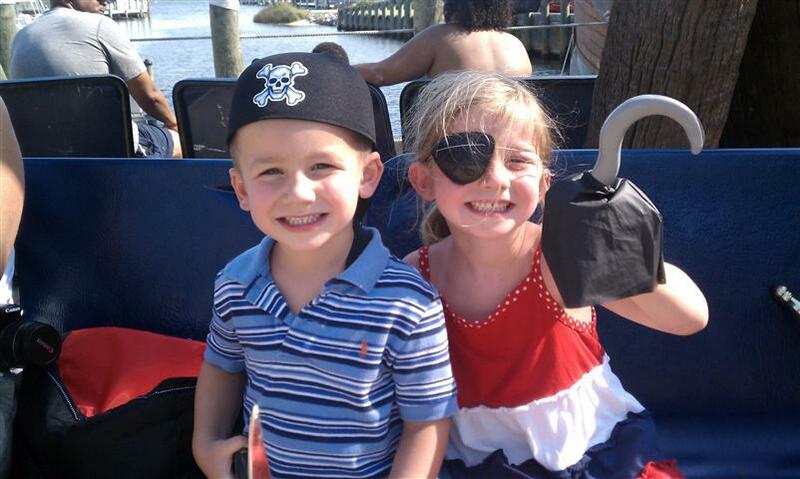 Feel free to bring yer own pirate attire to wear on the Pirate Ship Adventure as well! The captain and crew will all be dressed and ready for battle, and ye are more than welcome to come prepared if ye plan ahead of time. Don't worry about weapons for defense either! If ye did not bring swords or guns, there are several available in the store. Keep in mind that there are guns for use aboard the ship only, and must remain on the ship upon completion of yer adventure. But if ye would like some weapons to take home for later, feel free to browse the store before or after yer adventure!